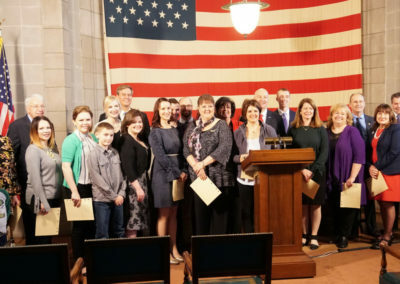 Due to a unique, pro-life NFA supported bill passed in 2018, Nebraska families can now request a commemorative birth certificate for babies miscarried prior to 20 weeks gestation. One out of every four pregnancies ends in miscarriage, and the grief of that loss is as real as the life itself. Creating a culture of life means honoring the lives lost in miscarriage, as well as the families who grieve. 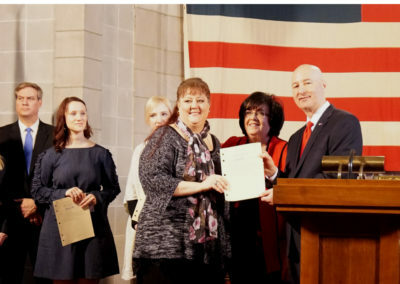 Due to a unique, life-affirming NFA supported bill passed into law by the Nebraska Legislature in 2018, women and families in Nebraska can now choose to receive a state-issued commemorative birth certificate for babies lost prior to 20 weeks gestation. Nebraska’s law establishing this type of certificate is only the second of its kind in the United States; however, Nebraska’s is the first to be retroactive so women who have experienced a miscarriage prior to the law taking effect can receive a certificate, and there is no minimum gestation required to qualify for the certificate. Fill out the application form provided by the Nebraska Department of Health and Human Services (DHHS). Click here for the application. Have the physician worksheet signed by a licensed health care practitioner (this could be your doctor, a nurse, OB/GYN, or their designee) certifying the miscarriage. Click here for the physician worksheet. Send both the completed application form and signed physician form to the Nebraska Department of Health and Human Services Office of Vital Records along with a cash or check payment of $19. Make checks payable to Vital Records. 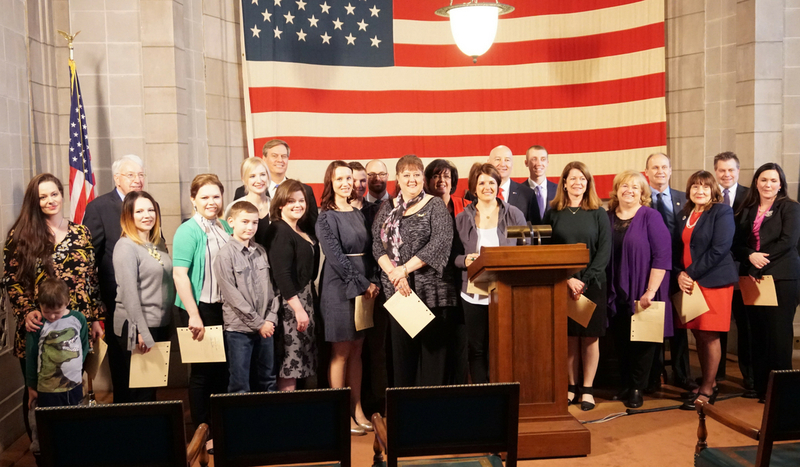 The Nebraska DHHS will then provide the certificate within 60 days of receiving the application form, signed physician form, and $19 payment. The requesting parent pays $19 for the cost of issuing the certificate. A certificate is a voluntary option for those who wish to receive one. It is not required or automatically administered after a miscarriage. 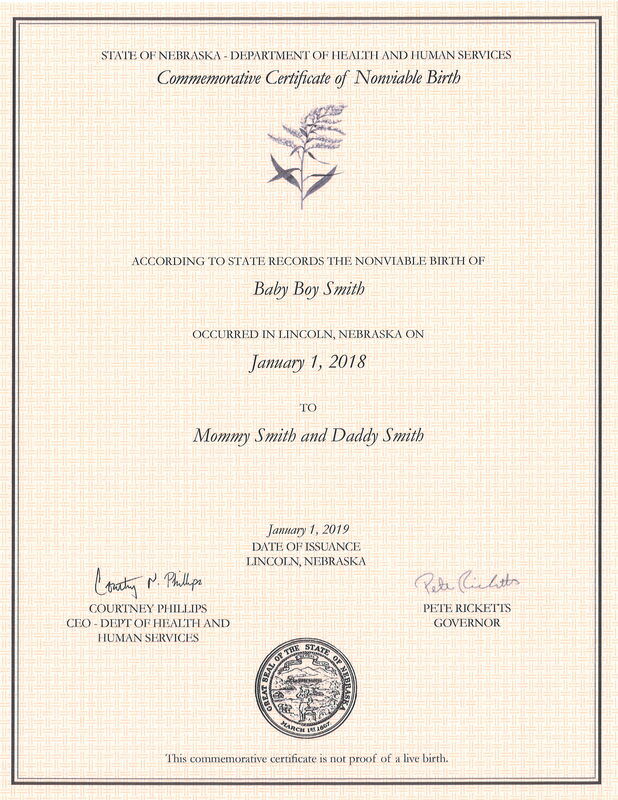 The Nebraska DHHS cannot register the birth associated with this commemorative certificate or use it to calculate live birth statistics. The certificate will contain a name for the baby if given by the requesting parent and gender if known. If no name is given the certificate will say Baby Boy or Girl and the last name of the patient, and if the gender is unknown it will say Baby and last name of the patient. For example: Baby Smith, Baby Boy Smith, Baby Girl Smith, Baby Jane Smith. This certificate is not an official birth certificate or a legal document. It is a commemorative, state-issued certificate made available to those who request it after experiencing a miscarriage prior to 20 weeks gestation. Who is eligible to request a certificate? If I experienced a miscarriage before 2018, can I obtain a certificate? Yes. 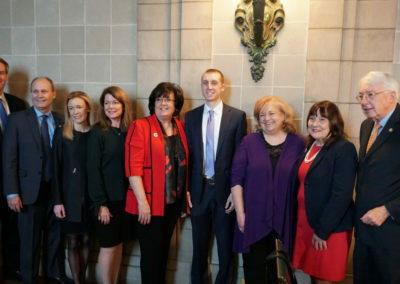 The legislation that was passed into law establishing this certificate makes the certificate available retroactively, and there is no timeline by which a woman must make a request following a miscarriage. The only requirements for obtaining this certificate are a signed letter or form from a licensed healthcare practitioner in Nebraska certifying a miscarriage occurred, and a payment of $19 for the cost of creating and issuing the certificate. If I had a miscarriage in Nebraska but now live in a different state can I obtain a certificate? Yes. As long as a licensed healthcare practitioner in the state of Nebraska can verify the pregnancy and can sign the physician form certifying the miscarriage then you are eligible to receive the certificate. If I had a miscarriage in a different state but now live in Nebraska can I obtain a certificate? Yes. As long as licensed healthcare practitioner in the state of Nebraska can verify the pregnancy and can sign the physician form certifying the miscarriage then you are eligible to receive the certificate. What if I had a miscarriage occurring AFTER 20 weeks, can I request a birth certificate? Yes. 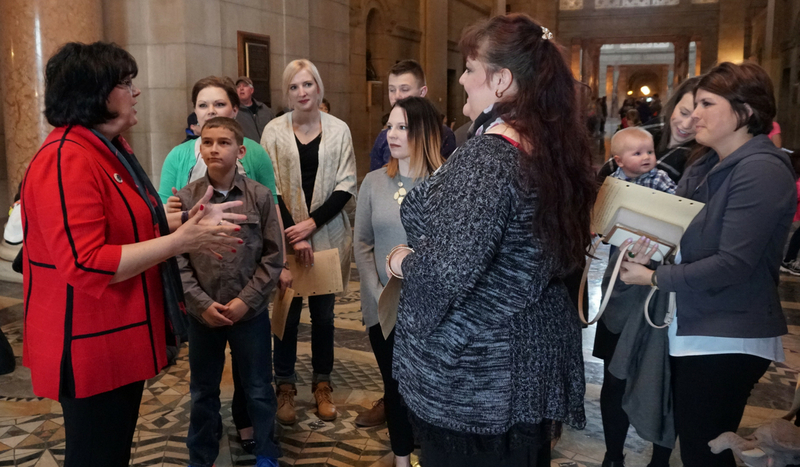 The state of Nebraska upon request will issue a birth certificate for miscarriages occurring after 20 weeks. This type of birth certificate is also retroactive meaning you can apply no matter how long ago your miscarriage occurred. 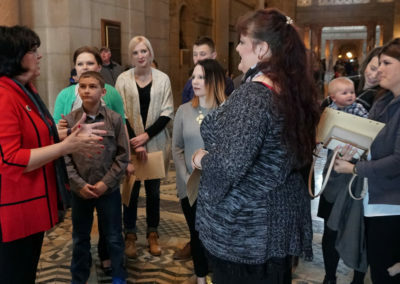 In the 2018 legislative session, state senator Joni Albrecht (District 17) introduced and prioritized LB1040 to create a state-issued, commemorative birth certificate for miscarriages. NFA helped organize testimony and letters from dozens of mothers and doctors in support of the bill. LB1040 advanced unanimously from the Health and Human Services Committee and was debated by the full legislature, where it passed on the final round of voting: 44 Yes, 3 Present Not Voting, and 1 No. 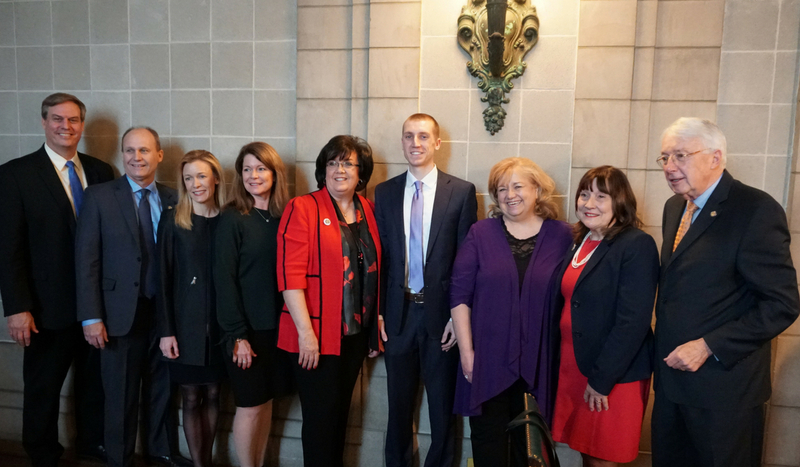 Several female state senators shared deeply moving and personal stories of pregnancy loss while speaking to the importance and significance of providing official recognition to children lost before 20 weeks gestation. 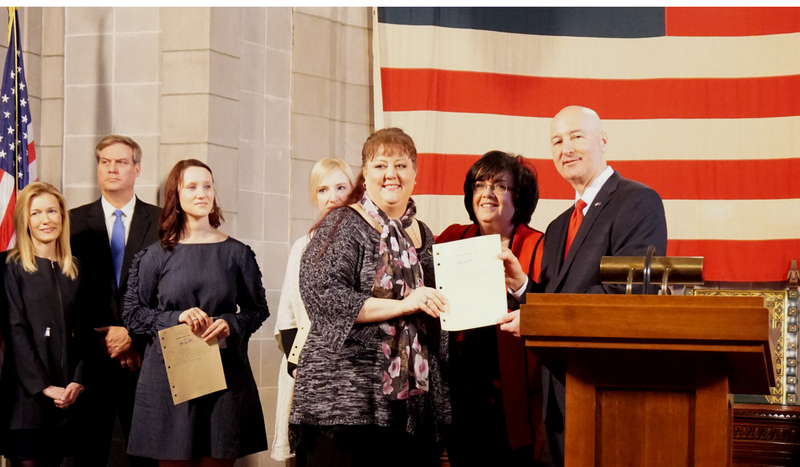 Governor Ricketts signed LB1040 into law on April 17th, 2018, and the certificate became available for the first time in July 2018. This compassionate change to the law makes our state an innovative leader in supporting grieving families and honoring the dignity of every human life.